The Interior Ministry has presented the details of the agreement ending police protest. The announcement of the end of the protest was announced on Thursday evening . 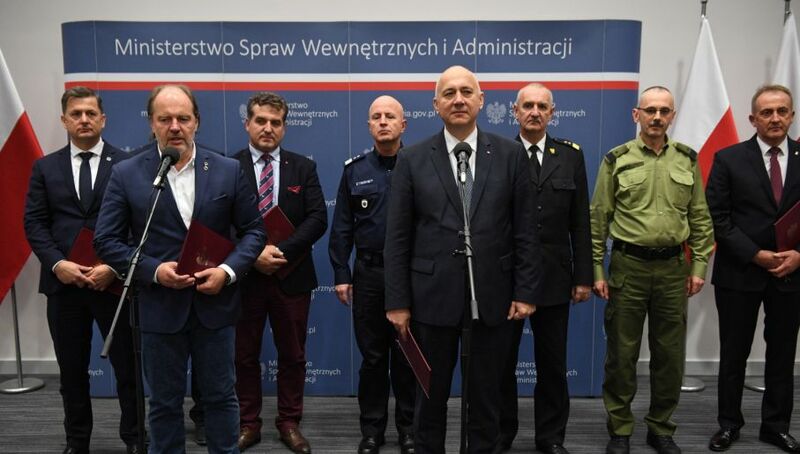 The agreement, signed between the Interior Ministry and the representatives of the protesting policemen, includes the salary increase of PLN 655 (EUR 153) from January 1, 2019, a further rise of PLN 500 (EUR 116) from the beginning of 2020, and the right to retire after 25 years of service, without the necessity to reach the age of 55. Joachim Brudziński, the Interior Minister, thanked the unionist for “a very good dialogue and the final result” of the negotiations. “We managed to sign the agreement, which nobody could have dreamt might come about,” Mr Jankowski said after the deal was signed. Since the end of October, the strike entered another phase, as a wave of massive sick leave taking spread throughout the Polish police. It was reported that this week more than 14,000 officers were absent from work.